For those who want to come to our new year’s party, we want to remind you that our bar is open from 6.30 pm and we have prepared a schedule from early to start the year together, take a look! 18.30 Early start on the rooftop bar for the last evening of 2009… Let´s get warm around our traditional fireplace with a glass of hot Rakomelo! Where where you on the 18/12? If you were in AthenStyle for sure you where on a awesome party (ours of course) If not, see the pictures here so you can get the feeling! Stay tuned, more parties are on its way! Say hello to 2010 in Athens! On December 31st, many Greeks drop in the town’s centre, for last minute shopping (because it is the custom to exchange gifts on the New Year instead of Christmas) or just a pleasant stroll. Later, all the friends, or families gather at one of their houses to ring in the New Year together. The fireworks will go off at midnight at Syntagma Square, Kotzia Square, and Klafthmonos Square, with additional fireworks launched from Lycabettus Hill. The bars and clubs will be very crowded as normal and the streets will be full of people so the cars move at a snail’s pace. And at 3.00 am… Our PARTY in AthenStyle starts!! Have fun dancing and meeting people. We will have drinks and cocktails with good prices. Also, we will have free breakfast for everybody! This Friday 18 at 22.00 at AthenStyle!! Bring your red santa hat! Today almost everyone buys and decorates a Christmas tree in Greece, whether it be real or artificial. But this tradition came in Greece after the 2nd world war. In older times, in some other parts of Greece they would decorate little boats instead. The tradition with Karavaki goes back to hundred of years, when many Greeks were working as seamen. During Christmas period, when they were returning to their homes after their long-travels at the sea, their wife’s used to celebrate by decorating small wooden boats. It was a way to say: “Welcome home”. Also, in old times children on the islands sang Christmas carols holding illuminated model boats in their hands. The 26th Athens Running Tour, staged by the City of Athens and the City’s Youth and Sport Organisation, will be held 13 December. The Athens Running Tour is one of the major events held by the Organisation and each year attracts more and more participants from Greece and abroad. It has been staged by the Youth and Sport Organisation over the last 22 years with the participation and support of many city, national and private organisations. Each year, thousands of Athenians and foreign participants of all ages spill into the streets of Athens with enthusiasm and high spirits to change the city’s image. The message they send is one of brotherhood and fair play. The Athens Running Tour is a multi-faceted event that also includes artistic and cultural activities, such as music, art, theatre performances and concerts. 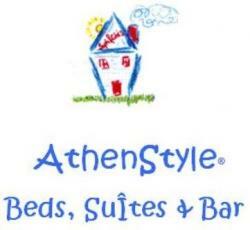 Is not a race of speed, after all; participation is what counts, so, if the weather is good, in AthenStyle we propose a walk with the guests and soe staff members. The meeting point is at h 10.00 at the reception-lounge area. You are all very welcome to come on Sunday! We are a member of Europe’s Famous Hostel, but wtf is it?! Europe’s Famous Hostels have long been recognised as the best hostels in Europe. We’re the top rated budget bases on travel websites across the planet and each hostel guarantees you a fantastic stay – that you’ll never forget. To become a member of the Europe’s Famous Hostels group the youth hostel in question has to offer great value without compromising on the quality. Each hostel in this group is also independently and locally owned, thereby assuring you an authentic, local experience.